Being a stand-up comedian involves developing the hide of a rhinoceros when it comes to your personal appearance. After all, an aspiring comic will struggle to exude ease and confidence in front of a packed audience if they are panicking about their appearance. American comedian Artie Lange is always open to poking fun at his unusually shaped nose, having previously described it as a ‘disaster’ and ‘grotesque’. 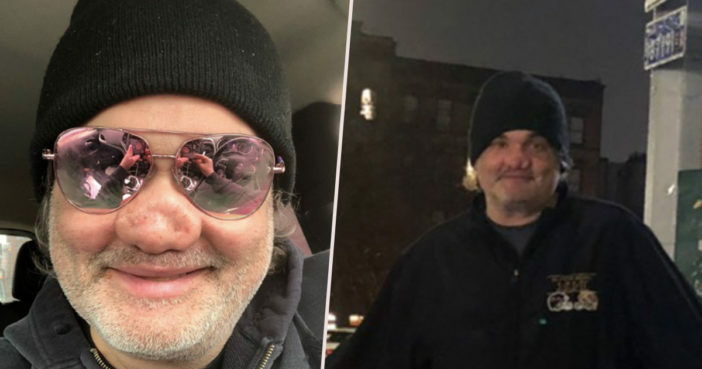 People started to notice the shape of Artie’s nose in December 2018, after the 51-year-old comic appeared before a court, having tested positive for various drugs including cocaine and amphetamine, benzodiazepines. My nose looks like it got hit w 32 yrs of gambling drugs booze strippers Whores. Good women Bad women Loved ones dying. Speaking on the Craig Ferguson Show in 2017, Artie spoke about a gruesome ‘glass snorting’ incident which left his nose in tatters. She [an unnamed ‘really beautiful’ woman] cut up a pill with a salt shaker. And it broke. And she didn’t know that. And a package came for her at the front desk, of course, and she left. So now I saw the line, I didn’t know it was glass, and I did it. And it was like a zipper. I looked in the mirror and I said, ‘Well, now everything’s happened. Everything has happened’. So I went to a doctor who was, erm, probably not the one I should have went to! And he ruined it! So now my nose is permanently attached to this side of my nostril, like right here. And when I blow my nose, it bleeds. However, as if that ordeal wasn’t already quite sufficient in ripping Artie’s nasal cavity to ribbons, it appears there are additional reasons for Artie’s pulverised snout. The reason that I have this nose is of course is the abuse, I have no septum. I also owed a bookie $62,000. I still gamble a lot. That was my worst vice for a long time because it led to everything else. I’m the kind of guy that it just escalates. It just escalates the badness. Seriously, if anyone on this earth deserves a spa day, complete with soothing scented candles, it’s Artie Lange’s nose.